Set just two years after the events of the movie Ghostbusters II, this is essentially the third story in the series. To keep things fresh, developers have also included mods on the traditional streams, such as shotgun-like blasts and stasis beams. 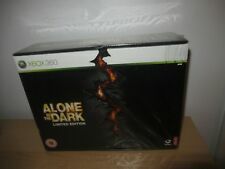 Alone in the Dark (Microsoft Xbox 360, 2008). Condition is Good. Dispatched with Royal Mail 1st Class Large Letter. 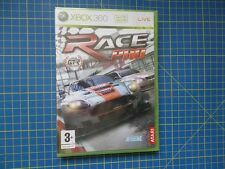 Race Pro (Microsoft Xbox 360, 2009) COMPLETE WITH MANUAL. Condition is Very Good. Dispatched with Royal Mail 2nd Class Letter. Test Drive: Unlimited (Xbox 360) **FAST DISPATCH**. Condition is Good. Dispatched with Royal Mail 2nd Class Large Letter. ALONE IN THE DARK. DISC & MANUAL IN MINT CONDITION. 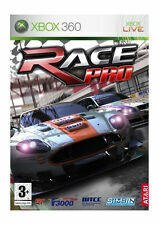 Test Drive: Unlimited (Xbox 360) VideoGames . Condition is Very Good. Dispatched with Royal Mail 1st Class Large Letter. Ghostbusters The Video Game - XBOX 360 Game - NTSC Also Plays On UK Consoles. NTSC Will play on UK Consoles. - XBOX 360. 5 out of 5 stars - Ghostbusters The Video Game - XBOX 360 Game - NTSC Also Plays On UK Consoles. 10 product ratings10 product ratings - Ghostbusters The Video Game - XBOX 360 Game - NTSC Also Plays On UK Consoles. Command the allied assault force of aerial, naval, and ground combat units - issue commands with split-second precision and witness the massive combined assault! Engage in fierce combat at an unprecedented scale and intensity - massive conflicts unfold on a "living battlefield" integrated by the "Dynamic Operation System" where up to 6 independent battles can break out at once at multiple locations. Book - Just a bit of wear in the spine. Disc - in good condition, just a few light scratches. Xbox Original. It will Not work on USA or NTSC Consoles. This will work on all EU PAL Consoles. Item Compatibility. Item Location: Yorkshire, United Kingdom. Format: PAL (Unless otherwise stated). Version: United Kingdom. Info: With Manual. VG Condition: A few light marks to the disc. ***Ghostbusters: The Video Game for Xbox 360*** NTSC Region Free COMPLETE!!! Disc 8/10 Manual 9/10 Case 8/10 Item has been fully tested. Please see my feedback and buy in confidence. Free postage. 5 out of 5 stars - ***Ghostbusters: The Video Game for Xbox 360*** NTSC Region Free COMPLETE!!! 10 product ratings10 product ratings - ***Ghostbusters: The Video Game for Xbox 360*** NTSC Region Free COMPLETE!!! 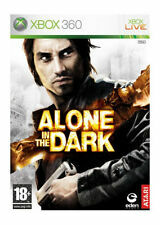 Alone in the Dark for Japanese Xbox 360. Pin mark on the rear cover of the case. Some spots on the disk otherwise excellent condition. Plays perfectly. Get behind the wheel of ultra-limited edition masterpieces from Gumpert, Koenigsegg, Aston Martin and Audi. Experience a whole new out-of-car mode, where you can walk around shared spaces and interact with other players via XBOX Live.